Nipsey Hussle shooting survivor Kerry Lathan has broken his silence. Lathan, 56, was one two men who were shot and injured during the shooting incident that claimed the life Nipsey Hussle. The world is still coming to grips with the rapper’s murder. If you’re unfamiliar with Lathan, he is a 56-year-old friend Nipsey who was at the store to get some clothing from the rapper after recently getting released from prison. He did 24 out a 26 years to life sentence for murder. A part his parole condition means that he can’t have any associations with any gang or gang members. 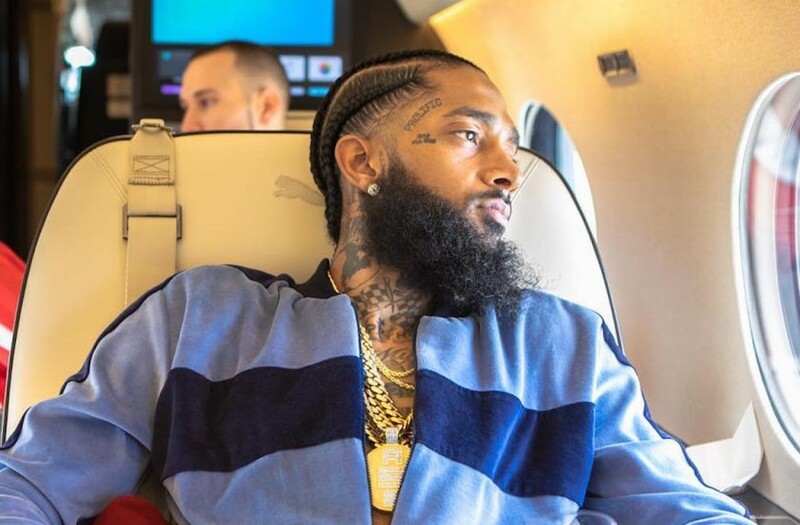 Law enforcement arrested him after he was released from a hospital because he was with Nipsey Hussle who they branded as a known gang member. Kerry Lathan is now speaking out for the first time since being released from jail after getting shot and then arrested. Speaking with VLAD TV, the 56-year-old bemoan cops true intentions for putting him back behind bars for being associated with someone who is helping him and helping the community. Lathan was at The Marathon Clothing store standing in the parking lot speaking with Nipsey Hussle on March 31 when suspect Eric Holder walked up and started shooting. He was there to collect some clothing from Nip who was helping him because he had just left prison without anything. He also revealed in the interview that he is now in a wheelchair because the shooting made it difficult for him to walk. Watch the interview below.